Are humans smarter than Neanderthals? 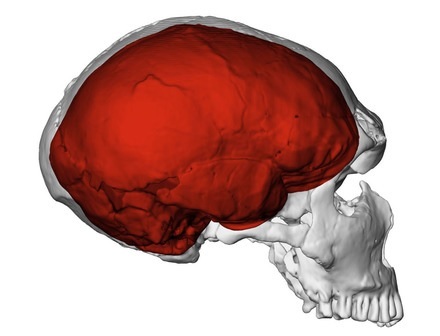 A Neanderthal brain. What mysteries does it hold. We are very similar to the Neanderthals in a lot of ways. So why did we go flourish whilst they went extinct? One hypothesis is that, despite our similarities, we were still smarter than them. These allowed us to make all sorts of technological advances that gave us an advantage over the Neanderthals. We could make fancier tools, better settlements, use more advanced hunting strategies, and more. It turns out that many of these advantages don’t exist. So is there still enough of a difference between us to prove the Neanderthals were dumber? Maybe not. At least, according to some research which indicates the idea of smarter humans needs to go extinct. Is this really the case? Since the Neanderthals were discovered their extinction has been a puzzle. They were well adapted for the cold European environment they lived in, had big brains, and big muscles. So with all these advantages, why did they die out? Many hypotheses have been proposed. Some have argued that they had a meat-focused diet, leaving them vulnerable to changes in local fauna. Others have claimed that their muscular bodies weren’t very efficient, putting them at a disadvantage compared to us. However, many of these have been challenged (and refuted) in recent years. One of the few ideas yet to go extinct is that there was some sort of cognitive difference between humans and Neanderthals that gave us the edge. However, testing this has proven a bit tricky. It’s hard to give an extinct species an IQ test after all. Instead, scientists have to try and find indicators of intelligence in their technology. This has led to the development of long lists of technological differences between humans and Neanderthals. These differences are thought to hint at underlying cognitive differences; although it’s often hard to draw a direct relationship. What does it mean when one group uses bone tools, whilst another doesn’t? Does it really show humans were smarter? Better capacity for planning and thinking ahead. Better at innovation and being flexible. Humans were able to quickly adapt to changes and come up with new tools to solve problems, giving them the edge. Given these clear technological differences between us and Neanderthals, it seems fairly clear that we were smarter than them. Except, it turns out that many of these technological differences might not actually exist. A pair of palaeoanthropologists (or maybe secret Neanderthal sympathisers) examined the technology produced by modern humans and Neanderthals from the emergence of modern humans (~200,000 years ago) to the decline of the Neanderthals (~40,000 years ago). This period is good for this sort of comparison because humans hadn’t reached Europe yet. As such they probably wouldn’t be regularly encountering Neanderthals. So any advanced Neanderthal technology couldn’t be explained away as simply them copying the local humans. Humans and Neanderthals were both burying their dead, indicating symbolism. Both had broad diets and advanced hunting strategies. Based on all this, the researchers conclude that the intellectual differences between our two species don’t really exist. We have found no data in support of the supposed technological, social and cognitive inferiority of Neandertals compared to their AMH [anatomically modern human] contemporaries. Except I’m not quite sure that’s what they showed. Cast your mind back a couple of minutes to when you were reading about the differences between humans and Neanderthals. One of them was that we’re more flexible and innovative. These researchers refuted this by pointing out that both humans and Neanderthals produced different toolkits for a specific time and place. They interpreted this as evidence both were flexibly changing their technology to changing environments. Except they didn’t break it down and see how much was changing within those toolkits. The fact they had different names was enough to confirm they were different and the Neanderthals had flexibly innovated something new. But when you do break it down and see how much Neanderthal technology actually changed; the results aren’t that impressive. 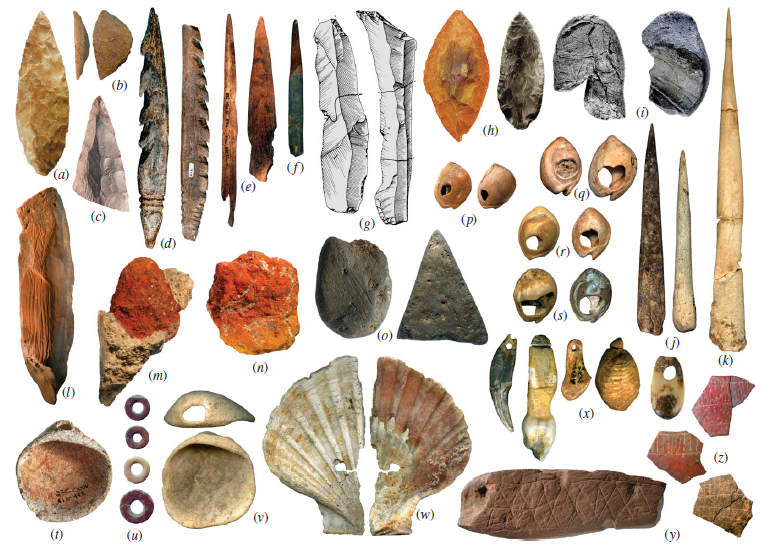 The number of different tools produced by the Neanderthals didn’t really change over time; even when the climate they lived in change. Conversely, modern humans tend to increase the number of different tools in harsher climate; allowing them to specalise and reduce the risk of failure. Humans weren’t actually that much smarter than Neanderthals; although we may still have had the edge when it came to innovation. Bocquet-Appel, J.P. and Tuffreau, A., 2009. Technological responses of Neanderthals to macroclimatic variations (240,000-40,000 BP).Human Biology, pp.287-307. Boyd, R., & Silk, J. B. (2015). How Humans Evolved. WW Norton & Company, New York. Let us agree that archaeological evidence shows that our ancestors left a bigger variety of innovative objects than the Neanderthals. This does not prove that we were better innovators. What it may show is that we were better imitators then Neanderthals. If one individual – human or Neanderthal, makes an invention the archaeological record is extremely unlikely to record the fact unless the invention is copied over many generations. A population with !% innovators and 99% excellent copycats may leave more evidence of innovation that a population with 5% innovators and 95% indifferent copycats. Your earlier post showing that teaching how to work flints was more effective if language was used would suggest that the population with the most advanced language would be better copycats. In this case the difference in the archaeologically revealed innovation rate may record the more sheep-like use of language by humans while the individual Neanderthal might actually have had more innovative brains – but were less good a copying the new ideas. Those stupid Neanderthals who were carefully cutting the tendons in raptor claws to remove the talons instead of just yanking them off? The stupid Neanderthals who were extracting pitch from birch bark? I’m still looking for more information on these idiots using coal http://www.knowtex.com/nav/a-very-remote-period-indeed-neanderthal-use-of-coal_21630. Oh wait! I know! They were stupid because they weren’t good at marketing and PR! They may not have been as smart as humans; but that hardly makes them dumb. They were still highly intelligent beings, as the evidence you point to demonstrates. Neandethals were humans. In fact, I would argue that, technically, there has never been more than one species of Homo since no regional population of Homo has ever been geographically isolated long enough for a new species to evolve. Since the emergence of Homo 2.6 million years ago, there has always been a significant amount of gene flow amongst various regions. Homo habilis and Homo erectus were simply chronospecies evolving towards the sapiens level of intelligence. I don’t think you’re wrong; but I’m not sure your point can really be proven. Yet. Are you saying that the Neanderthals were not humans? Change this title inmediately! No evidence provided to support this theory. Possible but we don’t know because there’s not enough fossils to say either way. The reality is that Neanderthals were more intelligent and physically superior. Homo sapiens were inferior but ultimately more successful. It could be simply than homo sapiens were more numerous and more widely spread. Every time Europe suffered a calamity a new homo sapien population breading like rabbits would migrate in from the south while the Neanderthals were still gradually recovering. The Neanderthals realising they could never win this numbers game, eventually proved they were more intelligent, more innovative and better forward planners by adopting the ‘if you can’t beat them, join them’ strategy and interbread with the other sub species. Their descendants being the ones that colonised the entire globe. Whereas the pure homo sapiens stayed in sub saharan Africa, and developed so much more slowly that they didn’t even discover Madagascar sitting off the coast of their own continent. The decendents of the interbread sub species did that first. I forgot Neanderthal thinking was influenced by their profound understanding of genetics and rigorous, worldwide census data.